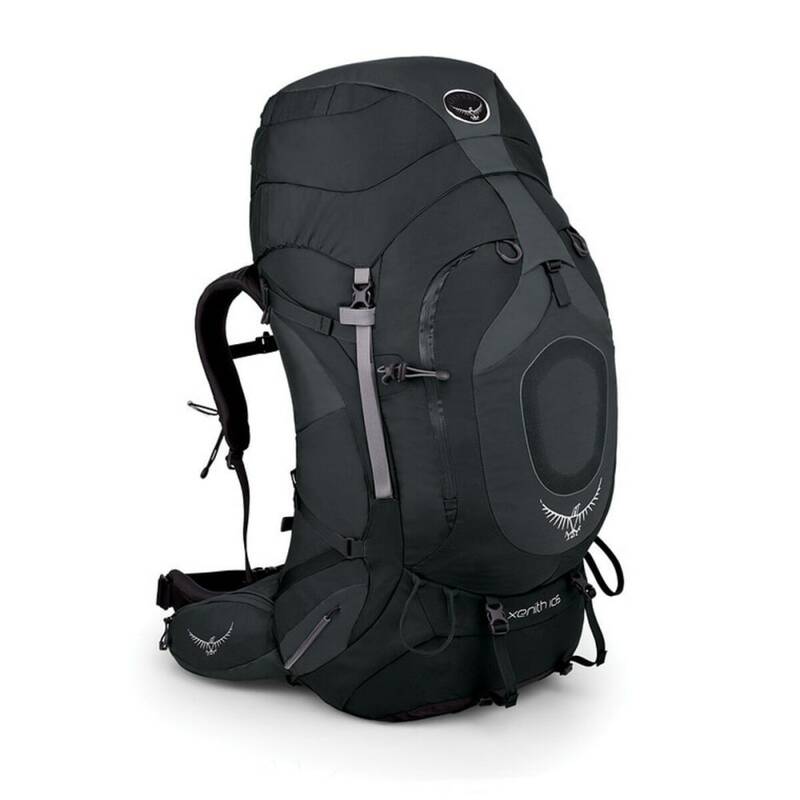 Designed to handle large loads on extended trips, the Osprey Xenith 105 is the perfect expedition pack when you’re going unsupported for a month-long circumnavigation of the Karakorum. The Xenith 105 is loaded with technical features that expedition climbers will appreciate. LightWire™ suspension and dual side compression straps keep the load stable even when moving through rugged terrain. The heat-molded BioForm™ harness and hipbelt provides a precise customized fit to ensure all day comfort and a mesh backpanel keeps you cool if the temps heat up as you climb toward the distant peak. The top of the pack is a dual compartment that can also be removed to save weight or converted into a lumbar pack for summit dashes. Two zippered hipbelt pockets keep your phone, snacks and essential items organized and close at hand. External stretch mesh pockets—two side and one rear—allow more grab and go storage options. An external hydration sleeve allows easy access to make liquid refills a snap. There are dual ice axe loops for alpine adventures and the Stow-on-the-Go™ trekking pole storage system lets you stash your sticks without breaking stride. Medium: Volume is 6407 IN3 / 105 L, dimension are 37H X 16W X 17D IN, weighs 5.69 lbs. Large: Volume is 6652 IN3 / 109 L, dimension are 38H X 16W X 17D IN, weighs 5.95 lbs. Extra Large: Volume is 6896 IN3 / 113 L, dimension are 39H X 16W X 17D IN, weighs 6.06 lbs. Load range is 60-82 lbs.